Patients in the study had "significantly lower out-of-pocket costs — on the average, $500 — when they visited a physical therapist first," says Bianca Frogner, a health economist at the University of Washington. A study published Wednesday in the journal Health Services Research suggests trying physical therapy first may at least ease the strain on the patient's wallet in the long term — and also curb reliance on opioid painkillers, which carry their own risks. The researchers, from the University of Washington in Seattle and George Washington University in Washington, D.C., analyzed more than 150,000 commercial health insurance claims filed between 2009 and 2013 in six northwestern states. They checked the files of patients who had a new diagnosis of low back pain, comparing the insurance claims of people who had received physical therapy before seeing their family doctor or a specialist to those of people who received PT at a later date, or not at all. The study wasn't designed to look directly at how well physical therapy ameliorates pain. Instead, the researchers wanted to see if physical therapy reduced overall health care costs and patient outlay related to back pain — including the number of opioid prescriptions and the number of advanced imaging tests like MRIs and CT scans, as well as hospitalizations and ER visits. It turned out that patients who saw a physical therapist before trying other treatments had an 89 percent lower probability of eventually needing an opioid prescription, a 28 percent lower probability of having any advanced imaging services, and a 15 percent lower probability of making one or more ER visits. Overall, patients saw "significantly lower out-of-pocket costs — on the average, $500 — when they visited a physical therapist first," says Bianca Frogner, a health economist at the University of Washington, and lead author on the study. "People who get trained in physical therapy have very specialized knowledge about pain management," she says, "especially with the muscular skeletal system. They might actually understand this pain better than the average family physician." It's also worth noting, she says, that some patients who could benefit from physical therapy don't get it, because of health insurance restrictions, or because they lack insurance, or the copayments are too high. Kenneth Harwood, a coauthor of the study and a physical therapist who directs the program in health care quality at George Washington University, says PT can diminish a patient's pain and improve movement. The therapists can guide patients through exercise regimens that strengthen muscles and help them develop control over their movements, including improving posture, he says. The study did find an unexplained 19 percent higher probability of eventual hospitalization among patients who received physical therapy before other medical care. Researchers didn't have the cause of each hospitalization in their dataset, but Frogner says it may have been, in many cases, the result of other co-morbid conditions associated with low back pain — such as obesity or diabetes. "It could also be that the physical therapist was able to identify more serious problems on the first visit, and refer patients on to more specialized care," she says. Among those whose first treatment was physical therapy the scientists found a dramatic decrease in the likelihood of being prescribed opioids for pain. In an era of pervasive opioid prescriptions, Frogner says, anything that can be done to reduce the number of opioids in circulation is worth considering. "We need to look for better ways to help patients manage the current pain they have and prevent it from coming back in the future" says Frogner, adding that physical therapists "are well positioned to provide ideas on exercises, movement and ways of living to prevent the pain from getting worse — and hopefully from ever coming back, once it's gone." Pain specialist Dr. Mark Bicket, with Johns Hopkins University School of Medicine, who was not affiliated with the study, says the findings align with the American Pain Society's recommendations to provide noninvasive treatment — including heat, massage, acupuncture and physical therapy — as the first line of defense against low back pain. A new study finds that when people with low back pain get physical therapy early on, they end up saving money on health care. They're also less likely to use addictive painkillers. NPR's Patti Neighmond reports. 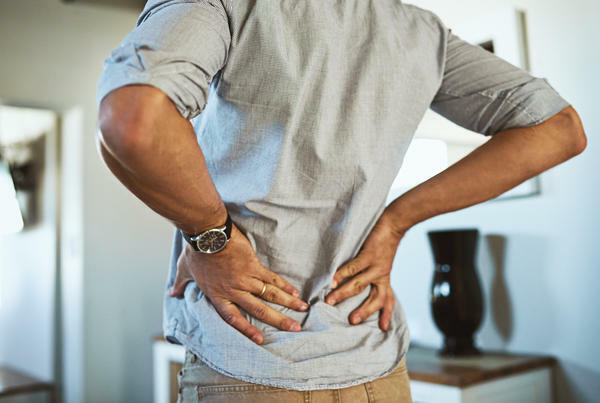 PATTI NEIGHMOND, BYLINE: It's estimated between $80 and $100 billion are spent every year in the U.S. on treatments for back pain. Researchers wanted to see if costs could be reduced if patients did physical therapy first before moving on to other treatments. The answer, says University of Washington health care economist Bianca Frogner, is yes. BIANCA FROGNER: The most important part for patients is that they saw a significantly lower out-of-pocket cost, on the order of almost $500 less within a year. NEIGHMOND: Frogner headed the study, which analyzed more than 150,000 commercial health insurance claims filed between 2009 and '13. They found patients who got physical therapy first had significantly fewer imaging tests like MRIs and CT scans and fewer visits to the ER compared to patients who didn't get physical therapy. And for these physical therapy patients, Frogner also found a dramatic decrease in the likelihood of being prescribed opioids for pain. FROGNER: We need to look for better ways to help patients manage the current pain they have and prevent it from coming back into the future. NEIGHMOND: The study wasn't designed to look directly at how well physical therapy reduces pain. But Frogner says previous research shows it can be highly effective. FROGNER: Physical therapists are really well-positioned to provide ideas on exercises and movements and ways of living to really prevent the pain from getting worse and hopefully from ever coming back once it's gone. NEIGHMOND: Officials with the American Pain Society say the findings are in line with their recommendations to provide nondrug therapy, including heat, massage, acupuncture and physical therapy, as a first line of defense against pain. Pain medicine specialist Steven Stanos with the American Academy of Pain Medicine says the findings of the study offer an effective strategy to reduce patient dependence on opioids. STEVEN STANOS: Less prescribing, potentially, would hopefully lead to less potential for harm for patients. NEIGHMOND: One barrier to physical therapy - researcher Frogner says patients who may benefit from physical therapy often don't have access, sometimes because of health insurance restrictions or because they lack insurance, or the co-payments are just too high.